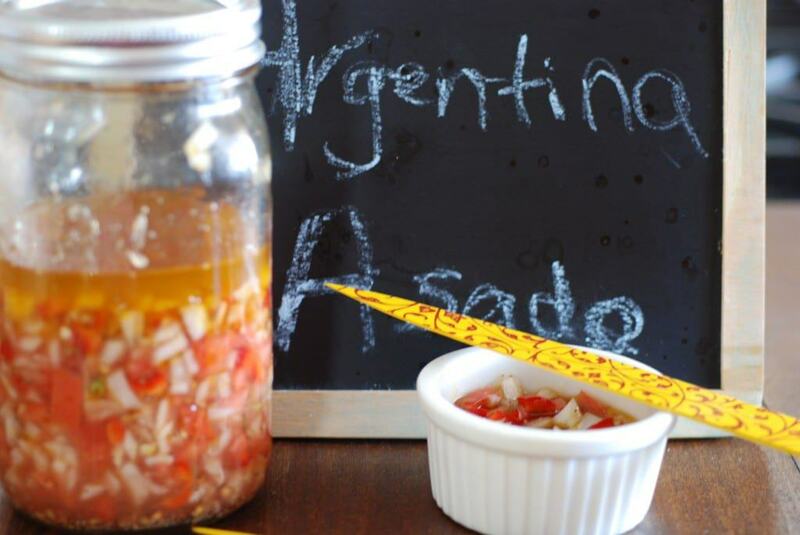 Argentines refer to their country as “Crisol de Razas”- a crucible of races or a melting pot. Europeans make up ninety seven percent of the population with the majority coming from Spanish and Italian descent. She gained her independence from Spain in 1918. Located in the south eastern portion of South America, Argentina is bordered by Chile to the west, Bolivia and Paraguay to the north, Brazil to the northeast, Uruguay and the South Atlantic Ocean to the east and the Drake Passage to the south. Boasting 1,000,000 square miles, Argentina is home to the highest and lowest points in the western hemisphere, featuring a tropical climate in the north, including the world famous Iguazu Falls and sub-polar temperatures in the south, with the legendary glaciers of Patagonia. Then there is the Pampas, the central grasslands, home to the largest cattle producing land and with it, the renowned gauchos. Gauchos are folk heroes similar to the cowboys of the western United States, whose imagery was brought to life by the author Zane Grey. The “gaucho” way of grilling meat in an open fire has turned into a national pastime and is what Argentines look forward to on their weekends and special occasions. It is commonly referred to as the “asado”. There are some very interesting traditions in Argentina. 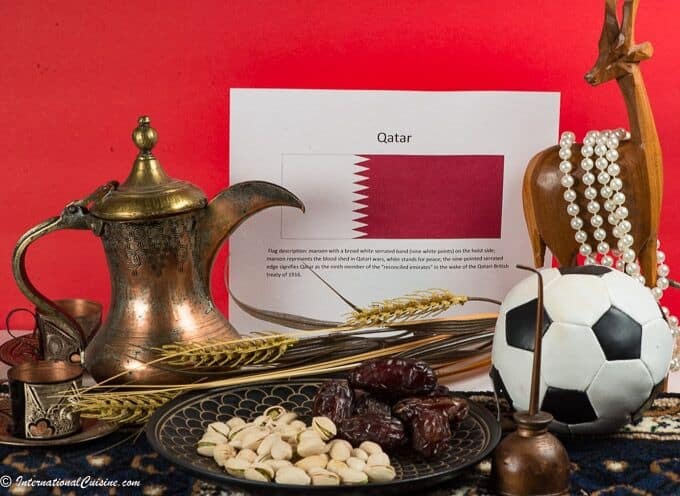 One of the most communal is the custom of drinking “mate”. Everyone drinks this special tea in a calbush gourd. Some are elaborately designed with silver rims and the hot tea is sipped through a special metal straw called a bombilla. This straw is designed as a sieve, allowing only the liquid and not the yerba, tea mixture to pass through. Elaborate rituals exist for sharing “mate”. The Cebador, (server) pours the hot water slowly as it fills the gourd. It is then passed clockwise and each participant is expected to drink generously from the gourd. A good “mate” sharing will mean the Cebador will not have to refill the gourd with the yerba mate for several rounds. It is considered poor manners to stir the mate with the bombilla (straw) or to wipe off the end of it. 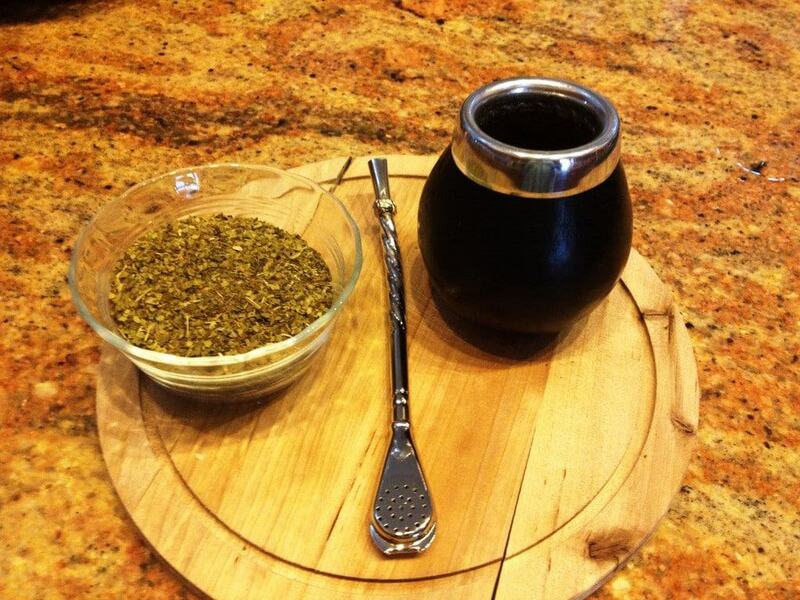 Yerba mate is considered to have medicinal properties and has spread in popularity because of this. It is an honor to be offered this ritual and a true sign of friendship. Speaking of friendship, Argentina has a day to honor it. Friendship Day is celebrated on July 20th. It is not a true holiday but everybody takes part in acknowledging their friends with cards, gifts, phone calls and text messages. Friendship Day is so popular that there is usually a temporary outage of the mobile networks on that day. Another tradition found in Argentina is tugging on the ear lobe of one celebrating a birthday, one tug for every year of a person’s life. My sister tells the story of seeing a waiter there being accosted by several waitresses taking turns pulling at his ear lobes, while he stopped to place an order. 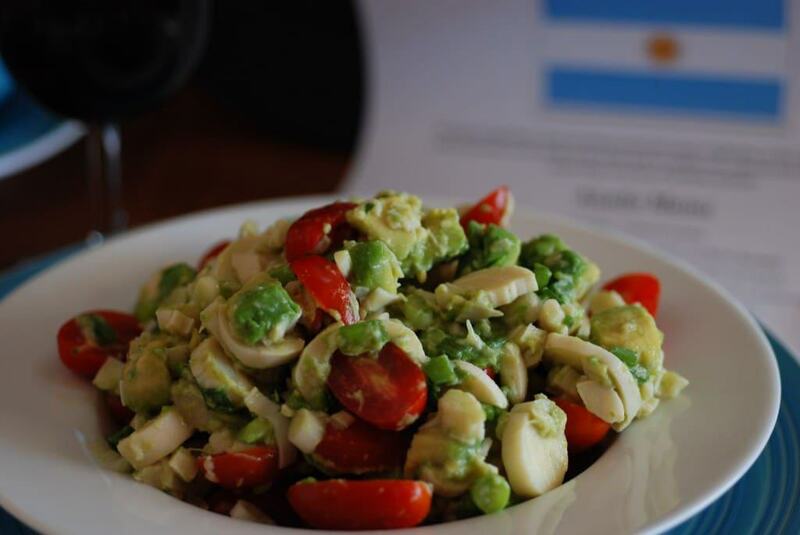 The cuisine of Argentina takes its cues from the European immigrants, their neighbors, and of course the wonderful history of the gauchos. The food in this country is absolutely spectacular. 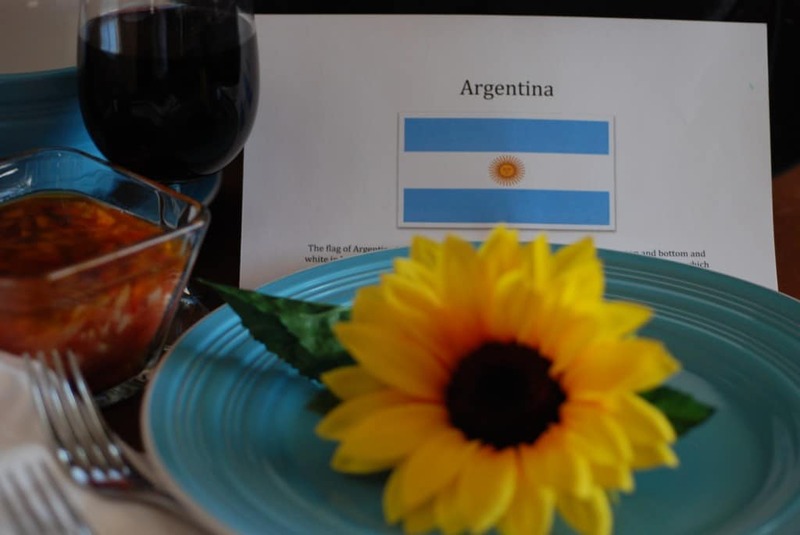 Argentina is also known for some of the finest wines in the world. Especially notable are their Malbec, Cabernet Sauvignon, Syrah and Chardonnay. Enjoy any one of these with your meal for Argentina. 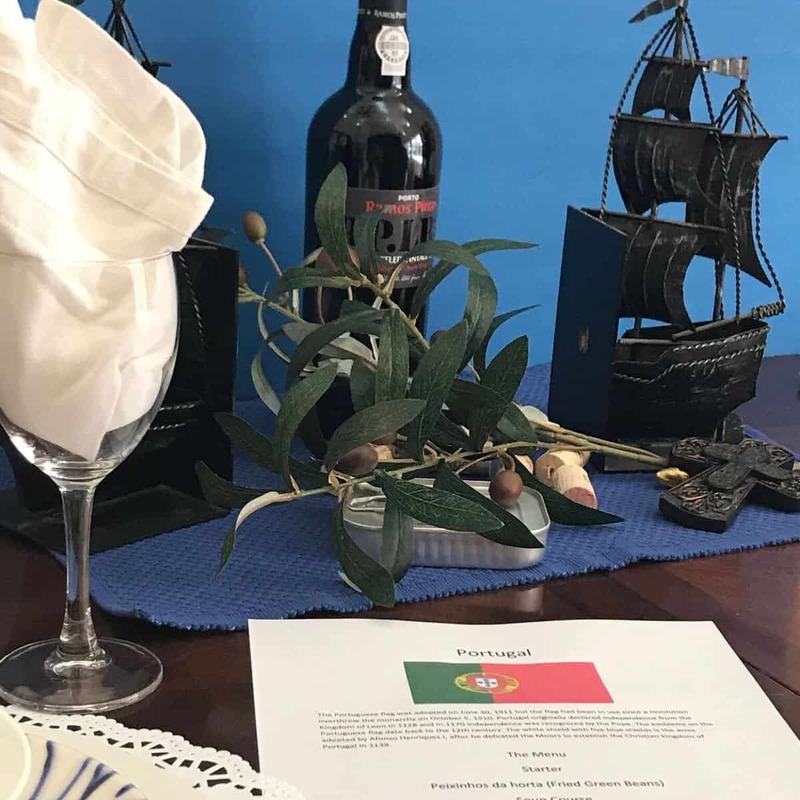 However, if you are ever in Argentina, avoid pouring the wine yourself; let your hosts do it, as there is some seriously complicated etiquette associated with this task and if done wrong could be considered insulting. Argentina has had her share of turmoil. Most memorably, hyperinflation hit hard in 2001, slashing the value of their peso in half. Bank accounts were frozen by the government and the people struggled to make ends meet. In recent years they had all but recovered, however just recently high inflation has again reared its ugly head. Still we are sure that thru Argentina’s strong community traditions and rituals, they will pull through once again. A huge cultural pastime in Argentina, which originated in Buenos Aires, is the Tango. There is no other dance filled with such passion and grace. In the Buenos Aires Bohemian district of La Boca, stage after stage of Tango dancers entertain at the outdoor cafes. The women dancers are dressed in form fitting glistening gowns and men dress in tight black pants and ruffled shirts. The dancers are so provocative in their expression of the music with its 2/4 beat. They occasionally entice a brave tourist to be their partner in this alluring dance. For your Journey to Argentina, why not enjoy some of this hypnotic tango music; then a red rose clenched in the teeth is all that is needed to complete the mood. 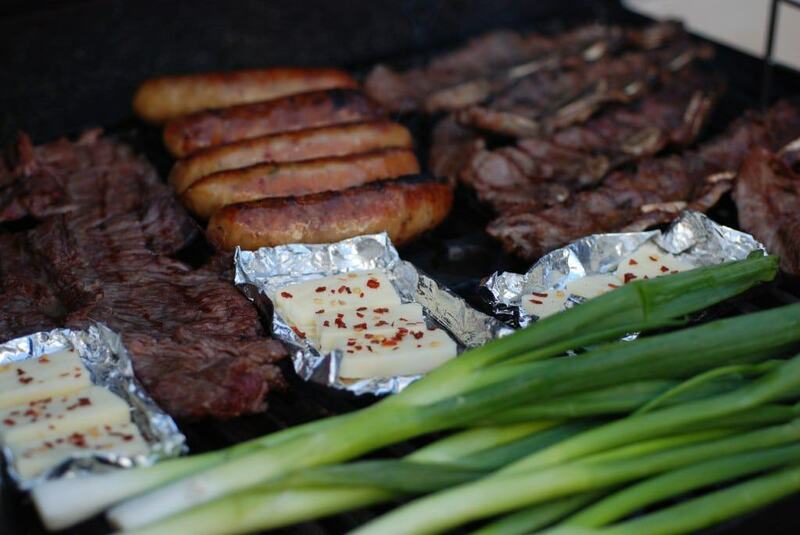 There are a few things you must know about having a traditional asado. First of all, someone needs to take on the role of the “Asador”. They will be in charge of the wood fired grill. If there is any way to use hardwood or hardwood coals, this is the time to do it. It really does make a difference in how the meat tastes. The other thing to remember is that the cattle in Argentina are all grass fed and free roaming and the butchers there are artists in how they cut their meat. Please try to get good, grass fed meats for your asado, and even better try to find an Argentine market in your area. They do not season their meat with anything but a medium coarse salt; that’s it and that’s all it needs. The Asador will usually have a special knife for this occasion that they proudly wear on their belt in a leather sheath. The asado is a celebration, lasting for many hours. 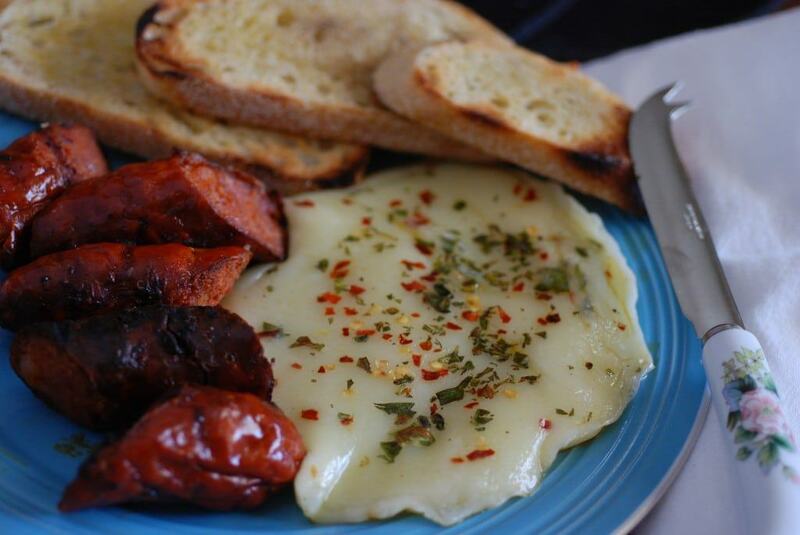 It usually begins with starters such as grilled provolone cheese lightly seasoned with red pepper flakes and herbs called proveleta, some chorizos Argentina and Morcillas, a pork and blood sausage, and perhaps some sweet breads. 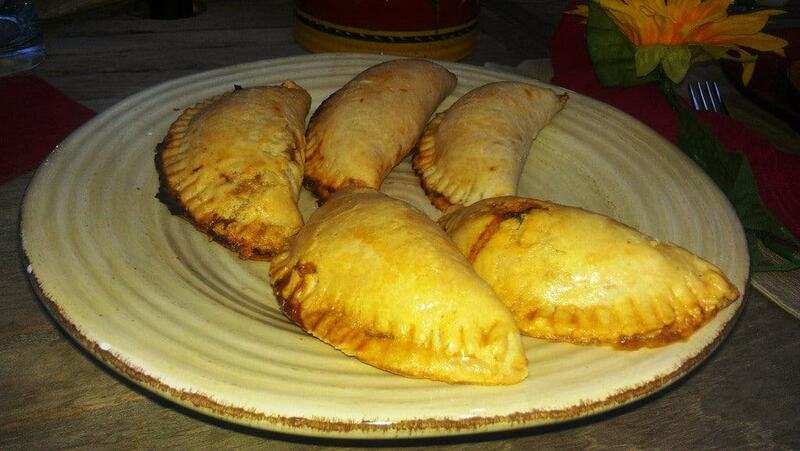 And we can’t forget the empanadas for which Argentina is famous. 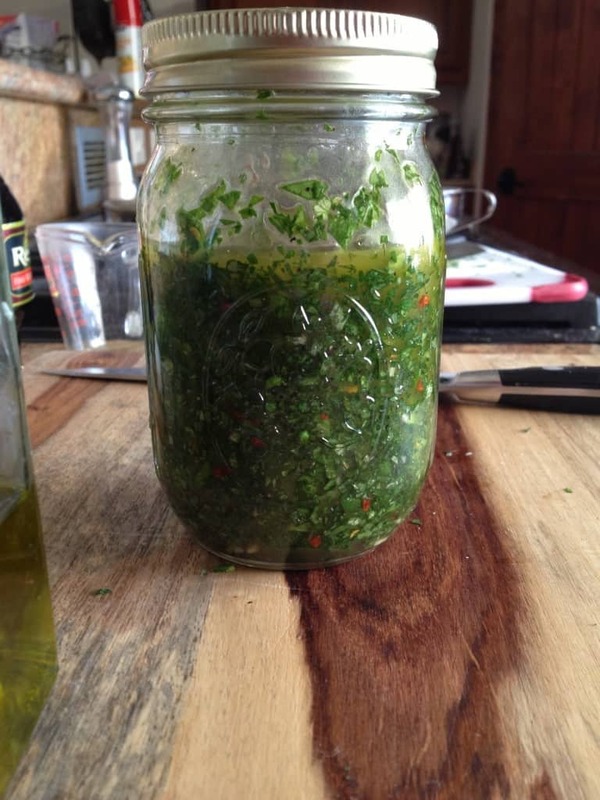 On the table will be salsa croilla and a chimichurra sauce used as dips for your meat. There will usually be a side salad and also grilled vegetables served but the asado is really all about the beef. The Asador will cook the meats slowly over an even fire, timing and removing the various cuts of meat as each is cooked to perfection. Another treasure from Argentina is Dulce de Leche, a creamy-like caramel that is unbelievably delicious. Today you can find Dulce de Leche in ice cream and even Starbucks coffee. 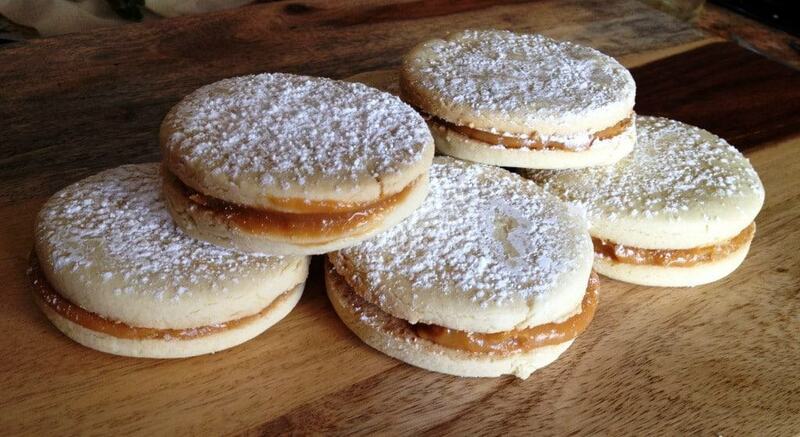 I chose a delicious sandwich cookie called Alfajores made from cornstarch and infused with Dulce de Leche in the middle. At the end of the asado, the Asador will get a well-deserved toast and applause from the very satisfied guests. For this menu, it will be a bit different. The recipes are included for everything except the beef and grilled vegetables. The cuts of meat normally served in Argentina are listed in the menu so you can request them from your butcher. You now know how to just salt them and put them on the grill. I would highly recommend trying to find the cut Asado-de-tire or Flanken-cut ribs, one of the best ribs I have ever eaten. I will simply leave you with a lovely note left by our guests at the Asado.